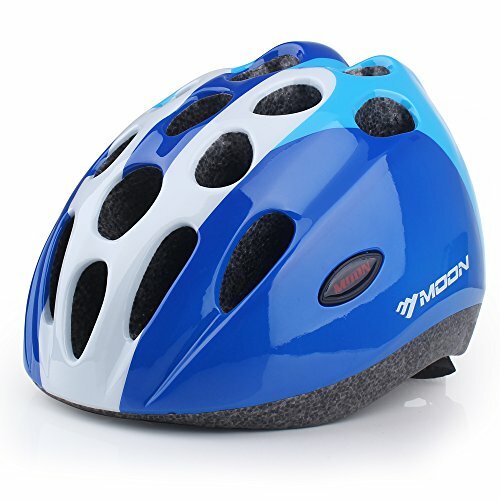 Whether you have a skateboarding pro or a training-wheel-clad bicyclist, the MOON Child Bike Helmet from BASE CAMP offers superior protection for a safe ride. Adjustable straps and spin dial fit system let your young one find the perfect fit, and a foam-padded interior cushions their head for secure protective gear. When a summer day calls for a long bike ride or skateboarding session, twenty-three vents keep them cool with great airflow. Please note:The proper helmet fit is an important factor for safety and comfort. Here at BASE CAMP, we want to ensure that you get the best protection from injury and the maximum performance with a properly sized helmet.Please measure before ordering. Used For: biking, skating, Skateboarding,scooting,and more. If you have any questions about this product by Base Camp, contact us by completing and submitting the form below. If you are looking for a specif part number, please include it with your message.